publisher not identified,, between 1810 and 1814?]. Fischer, Johann Christian. Gramachree . [1810, monographic. publisher not identified,, between 1810 and 1814?, 1810] Notated Music. https://0-www.loc.gov.oasys.lib.oxy.edu/item/2014568428/. Fischer, J. C. (1810) Gramachree . [1810, monographic. publisher not identified,, between 1810 and 1814?] 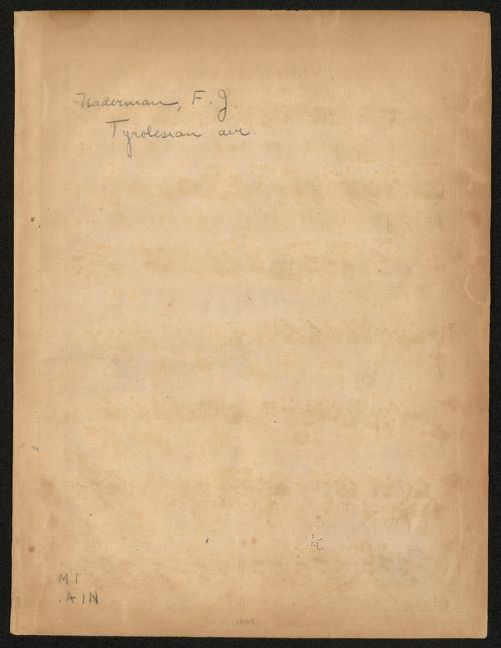 [Notated Music] Retrieved from the Library of Congress, https://0-www.loc.gov.oasys.lib.oxy.edu/item/2014568428/. Fischer, Johann Christian. Gramachree . [1810, monographic. 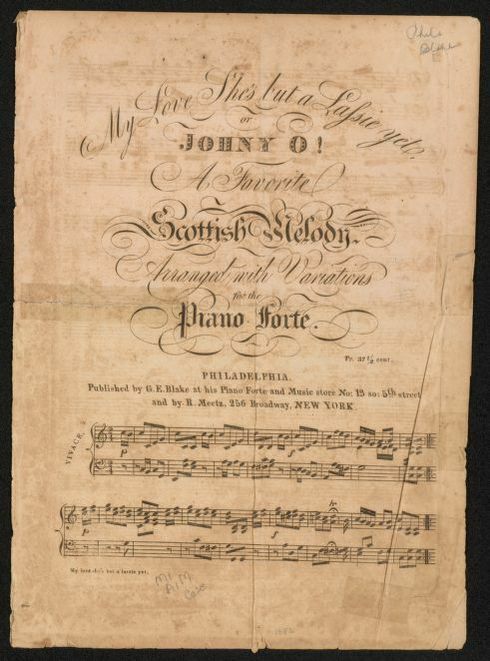 publisher not identified,, between 1810 and 1814?, 1810] Notated Music. Retrieved from the Library of Congress, <www.loc.gov/item/2014568428/>. 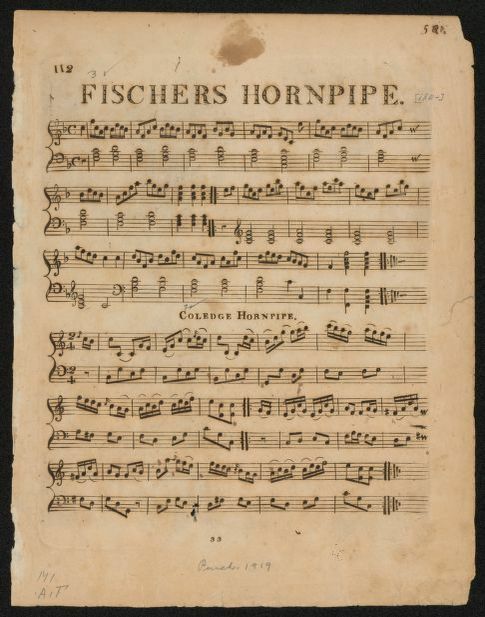 Fischers hornpipe Notated Music-Ntm. Hornpipes (Music). Scores.. print | 1 score (page 112) ; 32 cm | For piano. Followed by Coledge hornpipe. Print (Form). Unmediated (Form). Sheet (Form). Life let us cherish Notated Music-Ntm. Scores.. Variations (Music).. print | 1 score (3 pages) ; 33 cm | Caption title. For piano. Print (Form). Unmediated (Form). Volume (Form). My love she's but a lassie yet, or Johnny O! a favorite Scottish melody arranged with ... Notated Music-Ntm. Scores.. Variations (Music).. print | 1 score (4 pages) ; 33 cm. | Caption title. For piano. Print (Form). Unmediated (Form). Volume (Form). 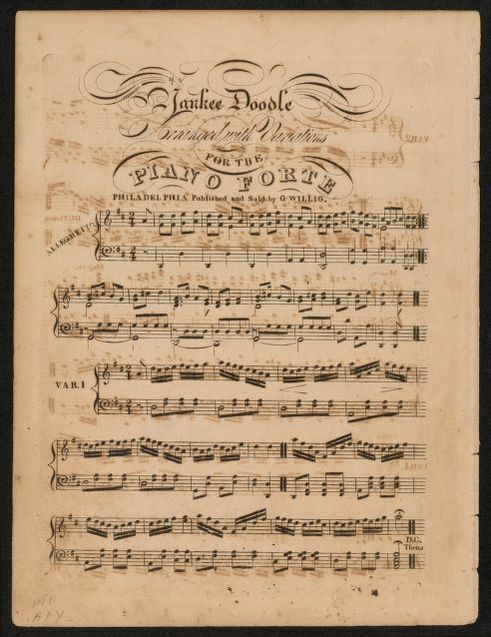 Yankee Doodle arranged with variations for the piano forte Notated Music-Ntm. 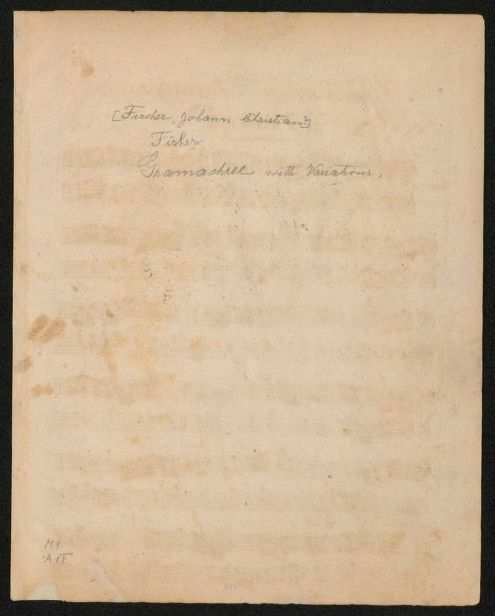 Variations (Music).. Scores.. print | 1 score (2 pages) ; 32 cm | Caption title. For piano. Pfte., 2 hds. Print (Form). Unmediated (Form). Volume (Form). Thirty-three variations on a waltz by A. Diabelli | Variations on a waltz by A. Diabelli | Diabelli variations Michael Oelbaum, piano. Recorded Oct. 1985 at Holy Trinity Church, New York City. Compact disc. Analog recording. Program notes by the performer ( p.) inserted in container. New and complete instructions for the oboe or hoboy, containing the easiest & most improv'd rules ... Engraved throughout.